At long last, we're but a stone's throw away from 'The Walking Dead' season 3 return, and the long-awaited resumption of the battle between Woodbury's Governor and Rick Grimes. Over the past week we've seen a number of new photos that both revealed the fate of the Dixon brothers after the arena conflict, and teased some new challenges for Andrea, so what does the latest look at Sunday's all-new episode reveal? 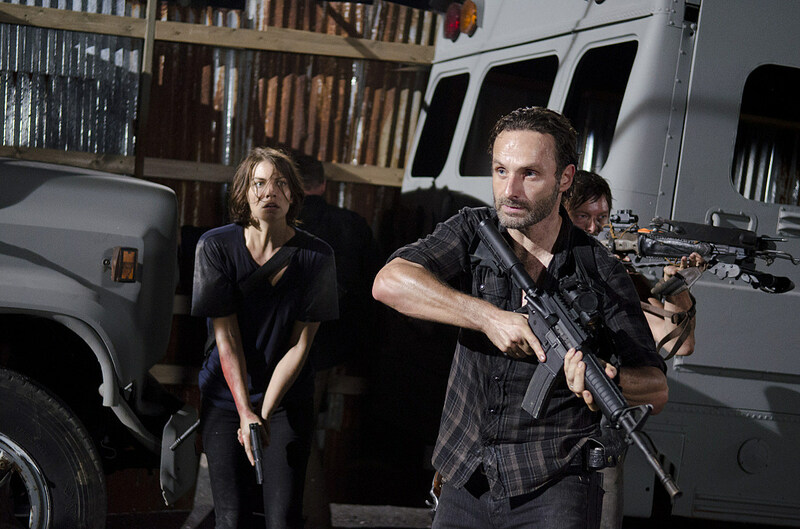 Get more fresh 'Walking Dead' with new photos inside! Those crazy 'Walking Dead' are at it again, delivering yet another batch of photos teasing the events of Sunday's big return episode "The Suicide King." Previous photos showed Merle Dixson (Michael Rooker) seemingly joining Rick and his group of survivors outside the gates of Woodbury, an alliance that would have to be short-lived considering his history with the group, but what do the latest from The Huffington Post reveal? 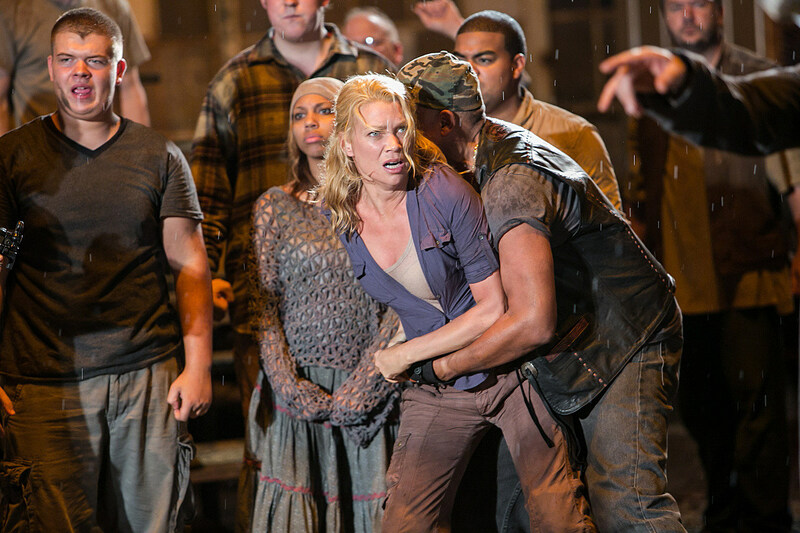 Daryl seems to have survived his predicament at the Governor's hands as well, but what of Andrea? Will her protests of the Woodbury arena cause The Governor to accuse her of being a traitor as well? What will she decide over the new conflict between her new man and her former friends? Could Andrea be one of the big deaths we've heard about in the back half of the season? Take a look at the latest photos from Sunday's 'Walking Dead' season 3 mid-season premiere "The Suicide King" below, and tell us what you think will happen to Andrea in the comments!